From January 7 to 8, 2015, I was in Legazpi City. I was invited to speak in the Legazpi City leg of STI 20th National Youth Convention. The event was held in Hotel St. Ellis. Howard Go (Mochibits Co-Founder and Game Developer), Gian Javelona (Orange Apps Inc. CEO), and I, the three speakers for the morning ICT session, went to Legazpi City on January 7. There were only a few people in the plane and we arrived twenty minutes ahead of schedule. We rode the hotel van and met with the STI NYC team. We had lunch in the hotel's Crossroads restaurant. 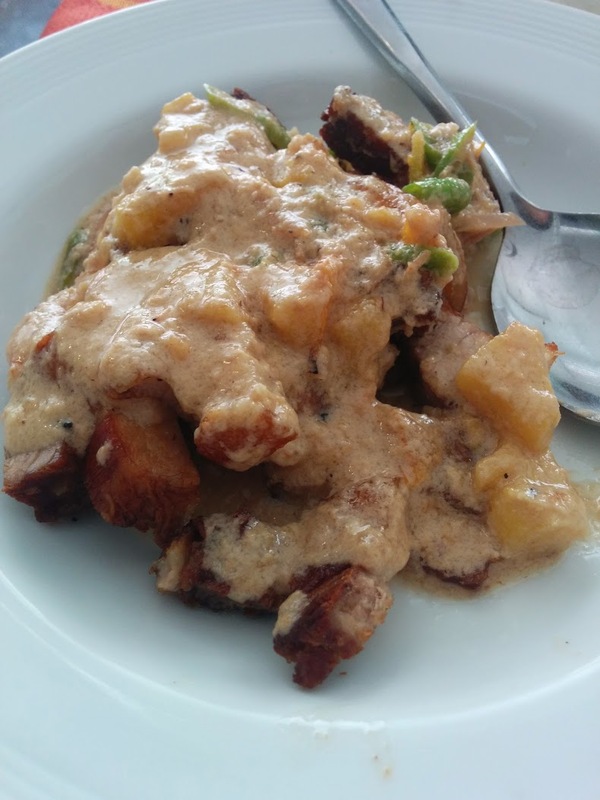 We tried their Crispy Bicol Express and Laing. After lunch, I went back to the hotel room to charge my phone, research nearby interesting areas, and update my slides. I then walked to St. Raphael Parish Church. I went to a nearby chapel, St. Jude Thaddeus. On my walk there, I also passed by the Battle of Legazpi Paylon Monument in the rotonda. Unfortunately, it is under renovation so I wasn't able to take a good photo of it. On the way back to the hotel to finish my presentation, I went to LCC Supermarket in LCC Mall to look for food I can bring home. I was able to buy some pili nuts and pili tarts. Later that night, our dinner was in Seadog Diner. We ordered Seadog Special Pizza, Ginuobatan Longganiza Meal, Pinangat, and Tablea. 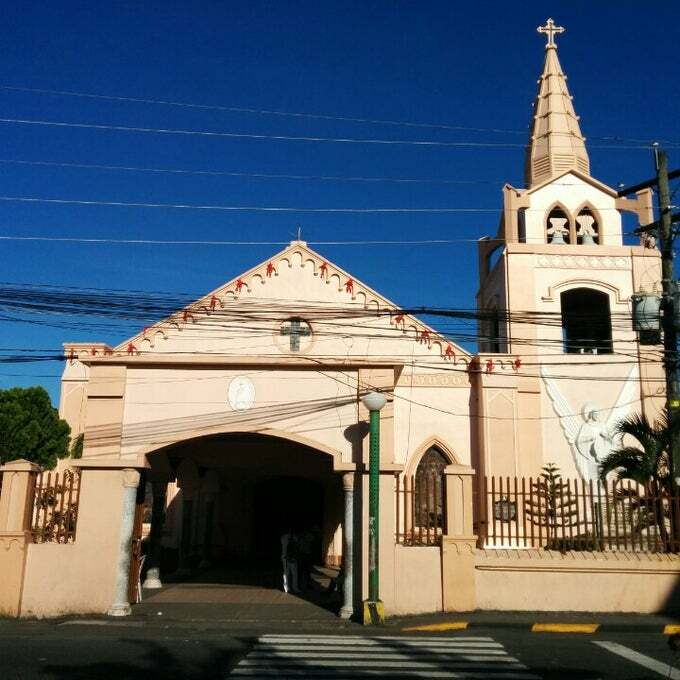 The next day (January 8), I woke up early for the 06:30 AM English Mass in St. Raphael Parish Church. I arrived a minute earlier but it was already starting. I went back to the hotel and had breakfast in Crossroads. After that, we went to the Hotel St. Ellis Ballroom for the STI NYC event. The morning session (ICT) was attended by ICT and Engineering students from STI College Legazpi and STI College Naga. I was the first to talk with the topic "Going Mobile: The Power of Mobile Application Development" Gian was the next speaker with his talk about "App-titudes: Fundamentals of Mobile Application Development." Howard with "Apps-Start: Your Success in the Mobile App Market" was the last. There was a raffle of three phones after the talks. We had lunch in Crossroads again. Gian, Howard, and I packed up our stuff after eating and went to the airport to go back to Manila.